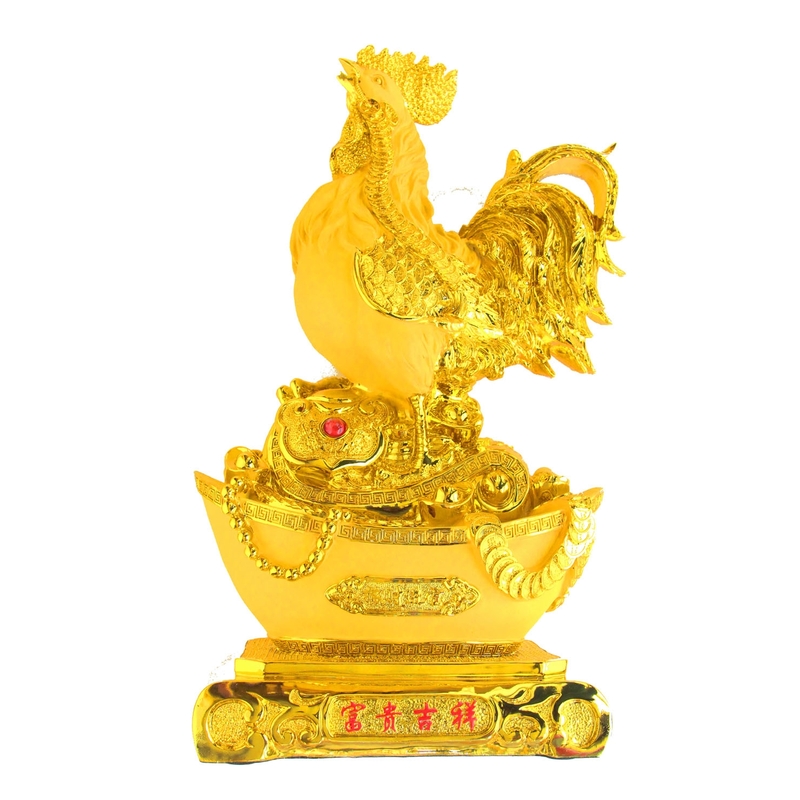 This beautiful majestic rubber finish golden standing rooster stepping on one big ingot filled with ingots, coins and feng shui ru yi to represent wealth, good luck, prosperity and Doing everything well for the year of the rooster 2017. Rooster statue is the feng shui enhancer to raise authority and rank in career. In addition, feng shui rooster can also dissolve problems of the office politics and solve the competition in work or commerce to ensure a final victor. The Chinese wishing words on the golden stand are FuGuiJiXian which have the meanings of "Wealth and Prosperity". 2017 is the year of the rooster. Placing such beautiful feng shui golden rooster statue with month open can gather fame luck, good career luck and harmony chi. The overall dimension of the whole big golden rooster statue is approx. 14" x 7.5" x 23.5" . It is made of resin.